I tend to hibernate while working on a book. I do not participate in much social media and do very little, if any, active promotion. The truth is that it’s hard for me to switch my brain from creative into marketing mode. During the gestation of a project, I need time apart, a quiet space to contemplate. Maybe that’s because real-world considerations shatter the fictive dream, disrupt my thought processes, and sometimes make me anxious. Worrying about promotion stops the writing cold every time. I guess I have a one-track mind. There are writers who are able to organize their days, allocating an hour or two to posting on Twitter, running their own blog, or doing whatever they deem useful to help them sell books. But I find writing a novel to be a messy, eternally demanding pursuit that absorbs all my energies. Thus, I tend to launch into marketing only when the book is done and the publication date approaches. At that point I set up blog tours, update my website, write historical essays, send out a notification in my newsletter, arrange Goodreads giveaways, attend conferences—anything I can think of. On publication day I make an announcement on social media, but I don’t often post about individual reviews after that. Blazing a trail in terms of marketing and promotion? Not so much. Still, occasionally I’ll try something new. For example, a few months ago I teamed up with a travel company and wrote a post that highlighted some iconic sites of Regency London, the setting for my historical mystery series. The company generously combined this post with a giveaway that included a set of my books and a tea set. The result: the promotion attracted over 2700 entries, so at the very least I made contact with 2700 people who had probably never heard of me or my books. 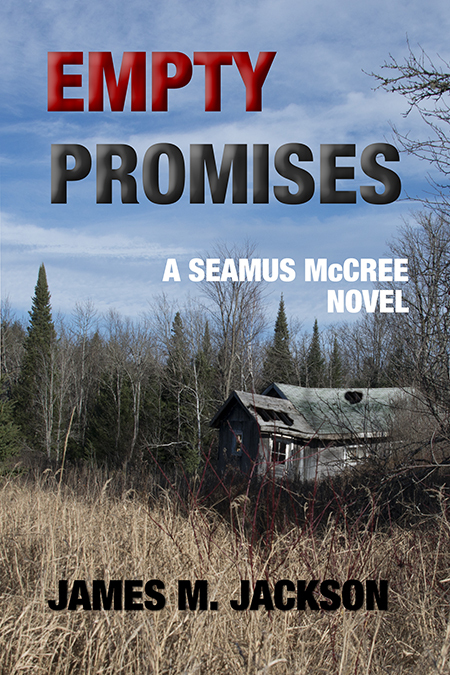 For my next release, I plan to purchase some extra copies from my publisher and give them away to readers. It’s a simple idea. Since I am traditionally published and can’t offer deep discounts or perma-free series openers, I’ll supplement the free copies provided by my publisher with a few autographed ones to send out into the world (not unlike messages in a bottle tossed into the ocean). With these gifts I hope to tempt a reader here, a reader there—anyone who likes the genre in which I write and would like to try my work. It’s fine with me that building a readership is a slow, organic process that can take years. Finding even one loyal fan is a big deal. No doubt this isn’t the most effective or efficient approach, but it’s the one that works for me. Which, I suppose, is my point. As 21st-century authors, we hear a lot about what we are supposed to be doing to sell our books—as if we can singlehandedly determine their fate if we follow all the right steps and push all the right buttons. But I don’t think “success” is that easy, and I’m quite sure it means different things to different people. 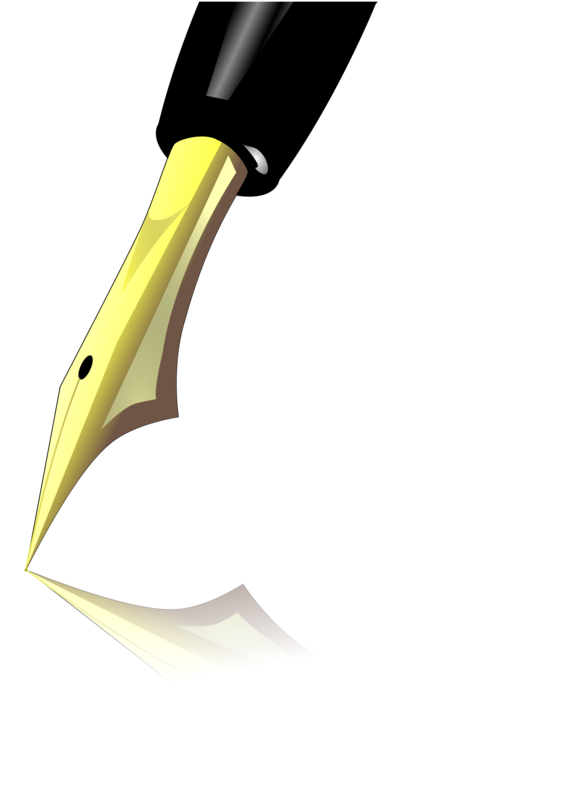 The bottom line: Each author needs to discover his or her own version of authorship through trial and error. Marketing is a highly personalized skill that develops over time and evolves as the writer evolves. I don’t mean to suggest that we should sit back and do nothing. Our books deserve that we make an effort to introduce them to others in order to give our work a chance to contribute something positive to another person’s life. Maybe we can entertain that reader or provide a much-needed distraction from troubles or even shed some light on the human condition. Overall, I find that focusing on this essential goal of communication keeps me on track in both art and business. An incurable Anglophile, S.K. 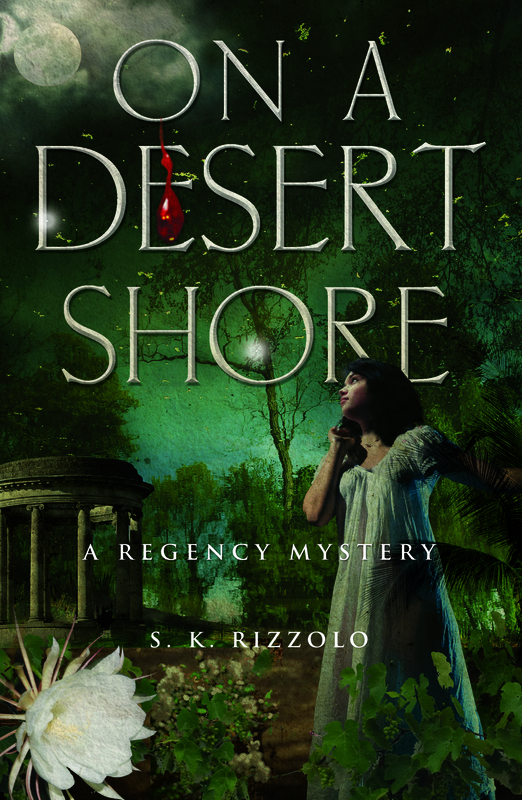 Rizzolo writes mysteries exploring the darker side of Regency England. Her books feature a trio of crime-solving friends: a Bow Street Runner, an unconventional lady, and a melancholic barrister. Currently she is at work on the first novel in a new series introducing a female detective in Victorian London. Rizzolo lives in Los Angeles with Oliver Twist and Lucy, her cats, and Michael, her husband. She also has an actress daughter named after Miranda in The Tempest. London, 1813: A wealthy West India merchant’s daughter is in danger with a vast fortune at stake. Hired to protect the heiress, Bow Street Runner John Chase copes with a bitter inheritance dispute and vicious murder. Meanwhile, his sleuthing partner, abandoned wife Penelope Wolfe, must decide whether Society’s censure is too great a bar to a relationship with barrister Edward Buckler. On a Desert Shore stretches from the brutal colony of Jamaica to the prosperity and apparent peace of suburban London. Here a father’s ambition to transplant a child of mixed blood and create an English dynasty will lead to terrible deeds. Modern readers have come to expect one or more dead bodies in crime stories. But, with the increasing violence encountered in ‘real life,’ many are becoming offended with the amount of gore in fiction, which may partly account for the growing popularity of those novels termed ‘cozy’. In these books murder exists, though it’s mentioned after-the-fact and never seen in its most brutal aspects. Still, the questions remains–must a mystery have a murder? What’s most important for many readers in a crime novel is a puzzle. Why a crime was committed and who did it? And, if they can answer those questions before the author reveals them, more the joy. This is most evident in ‘classic’ crime tales which often didn’t focus on murder as the highlight of the menu. Murder is absent from several of Conan Doyle’s best Sherlock Holmes tales. Wilkie Collins didn’t need a murder to intrigue us with The Woman in White. And there’s no murder in Dorothy Saylor’s Gaudy Night. Yet, as P. D. James tells us (Talking About Detective Fiction), “Readers are likely to remain more interested in which of Aunt Ellie’s heirs laced her nightly cocoa with arsenic than in who stole her diamond necklace while she was safely holidaying in Bournemouth.” Truth is, as abhorrent we may find it in reality, murder fascinates the human species and always has. Jack Elam, Hollywood regular for years in (mostly) westerns, once summed up the career of a character actor. 2. Get me Jack Elam. 3. Get me a Jack Elam type. Genre authors often have a similar experience. At first no one recognizes your name, and you sit at events with your single offering as people pass without a glance. I was once seated next to Sue Grafton at a signing (H for Herring, G for Grafton). Her line was around the room and out the door. Mine was…well, there wasn’t one. So the first stage is “Who’s Peg Herring?” I was lucky enough to get a respected publisher for my first books and smart enough to work at promotion. I did talks from Michigan to Florida and sent out mailings to bookstores and libraries. My publisher found reviewers, so I saw my name in Library Journal, Booklist, and Kirkus with kind words about writing style, plot, and character development. In a small but helpful way, that first question was answered: Peg Herring is a mystery writer. Over the years I’ve worked to get as many readers as possible familiar with that six-word sentence. In a perfect world, that would lead to “Get me Peg Herring’s books,” and I’m still surprised at how many libraries across the Midwest have the Simon and Elizabeth Mysteries on their shelves. 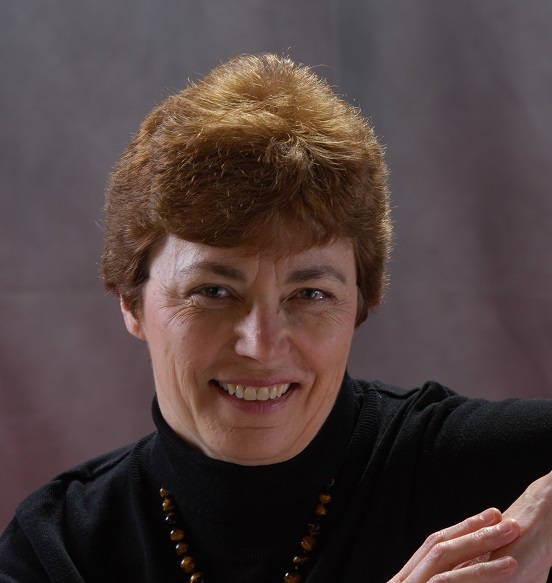 Experts tell authors the best incentive for someone to buy the next book is their enjoyment of the last one, so the series served both my publisher and me well–until they decided to stop publishing mysteries. That was okay, sort of. I had branched out to contemporary and what I call “vintage” mysteries, set in more recent times like the 1960s. My fans bought them, but without major reviewers and a direct library connection, it was harder to let book lovers know the Loser Mysteries and the Dead Detective Mysteries existed. When I finally went independent, promotion became even crazier. The reading world is choked with entries, so new releases fall into a dump truck full of titles, some well-written and edited, some not. A writer must decide when spending her limited promotional funds: To whom should promotions be targeted? Fans who liked my historicals might not enjoy KIDNAP.org, my humorous caper novel, but readers who’ve never heard of me might look right past an unfamiliar name, since they have no sense of my abilities and style. I use a varied approach to promotion that depends on the book itself. Of course I start with an eye-catching cover and a great blurb. At promotional sites I match what I have to offer with the types of books their members like. (A site with two dozen covers depicting scantily-clad women grasped by bare-chested men probably isn’t for me.) Since these sites vary in quality, it takes work to figure out whether their membership, format, and pricing fits my needs. Still, the results are better if I take the time to do that rather than a scatter-gun approach. Of course there are no guarantees in promotion, even when an author gives books away. I know people who have hundreds of free books downloaded to their devices. If they never read them, how does that help me sell more books? Since I write what interests me and not just what sold before, I work to let readers know my name means 1) quality mystery, 2) strong female characters, and 3) a satisfying ending. It isn’t easy. Last week I spoke at a library in Tampa, and after my talk, a woman picked up a book and skimmed the back cover. With a little shriek she said, “Oh, this is you? I read this whole series! I loved it!” If she’d read four of my books and still didn’t recognize my name, you can bet she hadn’t gone looking for my other offerings. 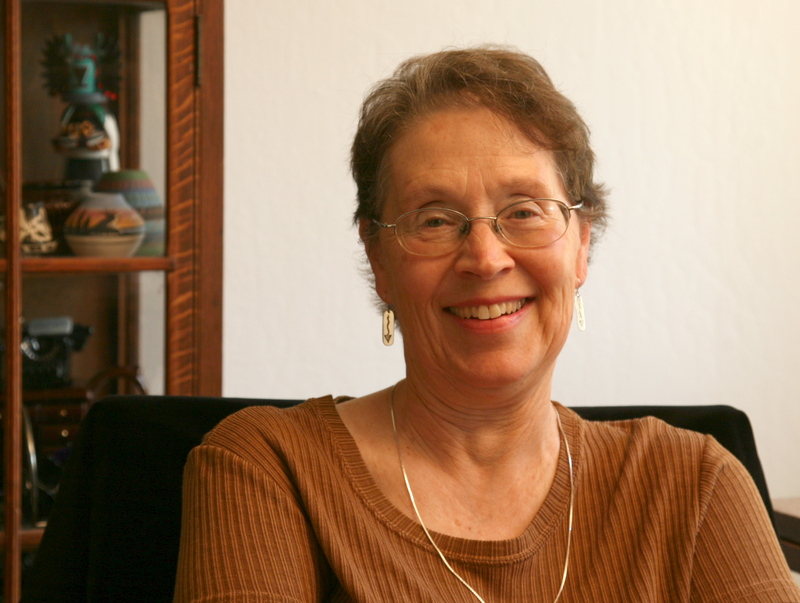 Peg Herring reads, writes, and loves mysteries. As an educator, she once set the stage on fire. As a tourist, she’s been so lost she passed through the same town in Pennsylvania three times in one day. Friends have lost count of how many times she’s locked herself out of her house. 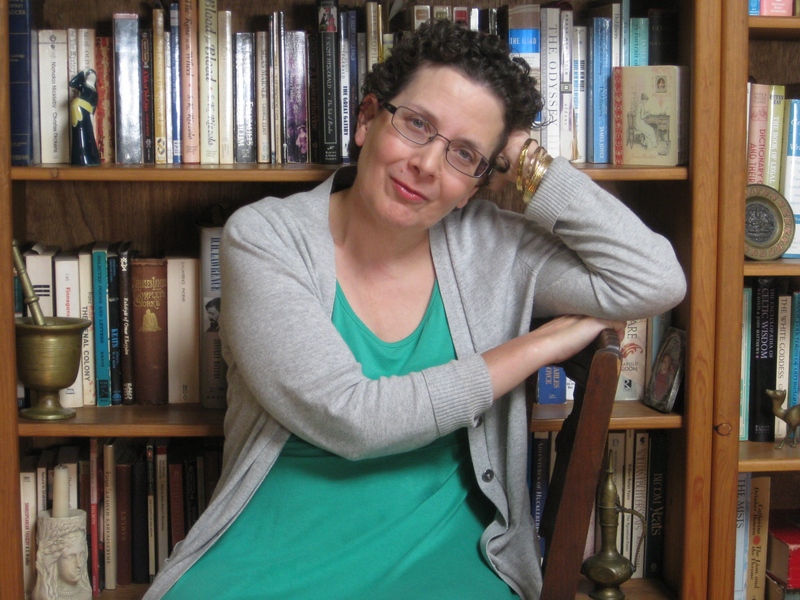 As the award-winning author of several series and stand-alones, she’s safer if she stays in her office and writes, either as herself or as her younger, hipper alter ego, Maggie Pill. 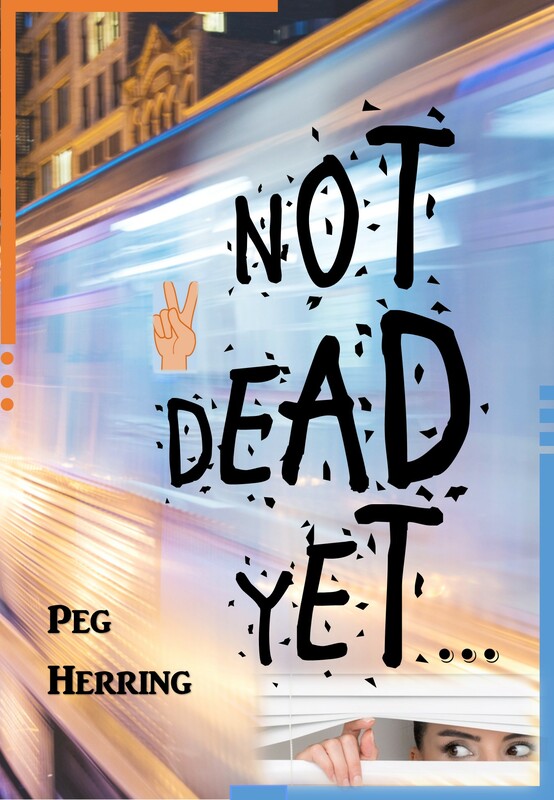 Peg’s newest release is Not Dead Yet…, suspense with a big surprise that’s set in 1960s Chicago. Maggie just released Book 6 of the Sleuth Sisters Mysteries, Peril, Plots, and Puppies. People who don’t know me that well seem a little surprised when they discover I have a PhD. Most likely because they don’t see me as the “typical” erudite that a Doctorate of Philosophy usually invokes … whatever that may be. However, for friends who know me “up close and personal,” they aren’t surprised at all that I don’t portray the image of a college professor. Probably because, since there is already too much drama and seriousness in the world, I like to tease, joke, make puns, and use humor in daily activities. Thus, it is likely that some of the suggestions below for promoting my book may seem a little bit unusual, quirky, or out of the norm. Poker Chips — Being from Las Vegas, rather than just having the personalized business cards and book marks promoting my book like most authors, I had customized poker chips made up. 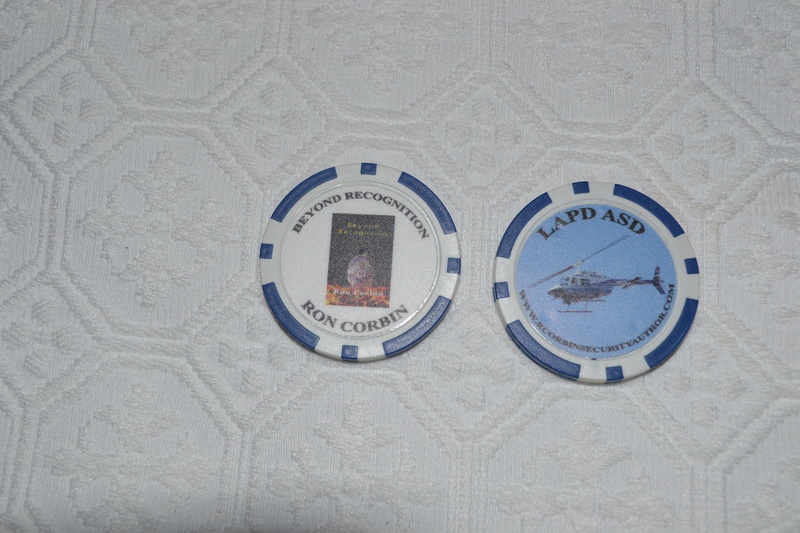 One side of the chip displayed the cover of my book, and the flip side had a photo of an LAPD helicopter. These chips can be used as part of the “buy-in” to your weekly “Guy’s Night Poker Game.” Sometimes, one of the poker players will cash-in these poker chips to buy one of your books. The chips can also be used as a challenge coin to exchange with your military and public safety friends who collect these kind of mementos. I think that this is a perfect way for exposure to great numbers of people; patients who might start reading a chapter or two and, if interested, will copy the book title for future self-purchase. As a bonus of doing this, I even found that one of my doctors is an author herself, and we were able to exchange books. Contests — I have held contests at writer’s conferences, with the winning prize being one of my books. Use your imagination and make twists to the old version of “guessing how many jelly beans in a jar” game. One contest was where I took one of my wife’s sewing projects. 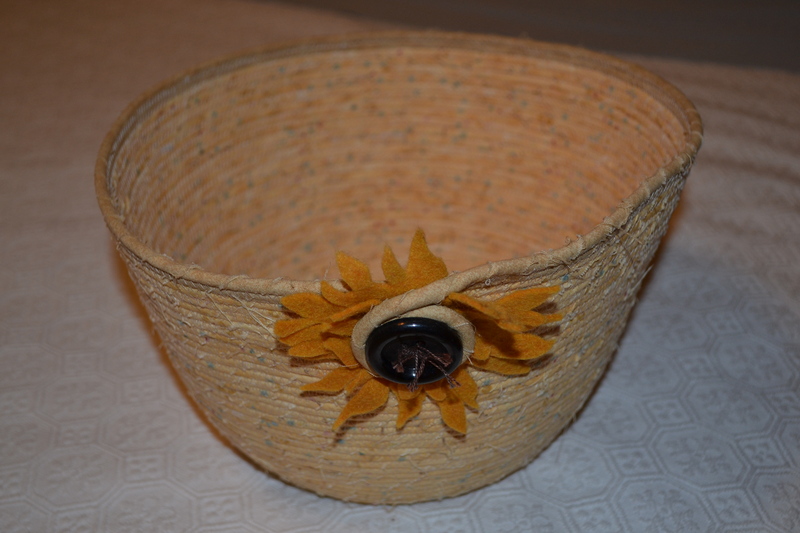 She had made a basket from material-hand-wrapped cotton corded clothesline. I had conference attendees guess how many feet of clothesline was involved in the basket construction. · They are made of plastic and come in pairs. · They come in four basic colors (i.e., red, green, blue, yellow). · They are from the 1950s. 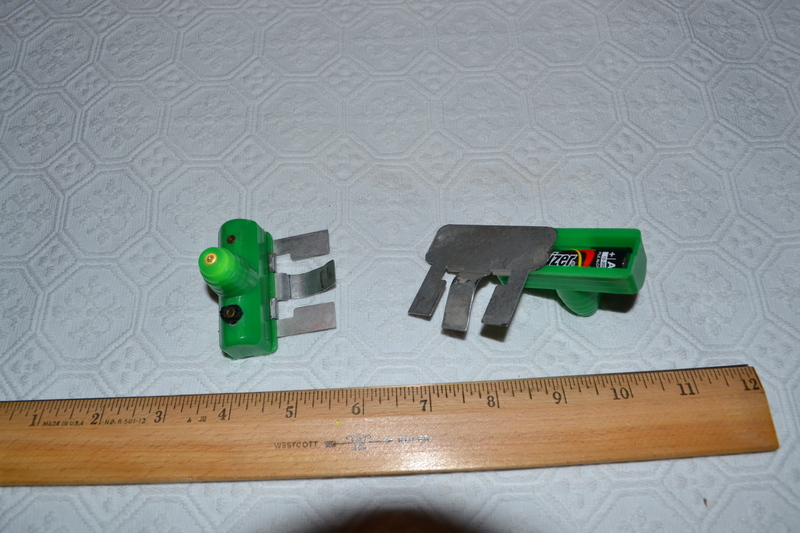 · They use one AA battery to make a small light and illuminate the plastic’s color. Cruise Ship Libraries — My wife and I like to take cruises. Generally, every cruise ship has a game room and/or library. I take one of my books on each cruise trip and leave it in with the other books in the ship’s library. Even if the ship’s staff monitor this and remove my book as being unauthorized, I feel confident that it won’t simply be thrown away, and maybe taken to the crew quarters for their use. In any case, I figure that this is a way to expose it to hundreds, if not thousands, of passengers. So, these have been some of the ways I have promoted my book. They may seem quirky, but then again, I told you that I had a PhD. I like to say that it’s “thinking outside the box.” Honestly, though, I don’t know how successful these unique ideas are. But you may want to try them. Ron Corbin is a decorated Vietnam veteran, having served two tours as a combat helicopter pilot. After a crash in 1976 with LAPD’s Air Support Division, he was forced to seek other careers, including school teacher and principal, counter-terrorism and security trainer, body guard, corporate security director, and manager of the Las Vegas Metropolitan Police Dept’s (Metro) Police Training Academy. 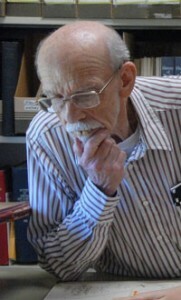 His specialty is Crime Prevention Through Environmental Design (CPTED), and he attended training in this domain at The National Crime Prevention Institute, at the University of Louisville. On behalf of Metro, he has served the community by providing expert advice and hundreds of security surveys or vulnerability assessments for commercial and residential customers; including such notables as the Fremont Street Experience architectural team, Ch-3 and Ch-10 television studios, Las Vegas and Clark County Housing Authorities, Desert Springs Hospital, and the U.S. Environmental Protection Agency. Ron’s CPTED credentials and experience has led to him being interviewed as a subject matter expert in articles published nationally in “Reader’s Digest,” “Sunset Magazine,” “PetroMart Business,” Las Vegas Life”, “The SIREN (Municipal Motorcycle Officers of California)”, “Vegas Life”, “Las Vegas NOW”, “Around Your Home”, the “Crime Reporter” (Ventura, CA PD), and “PORAC-LE News” magazines. He was the Editor of Training Publications for LVMPD. 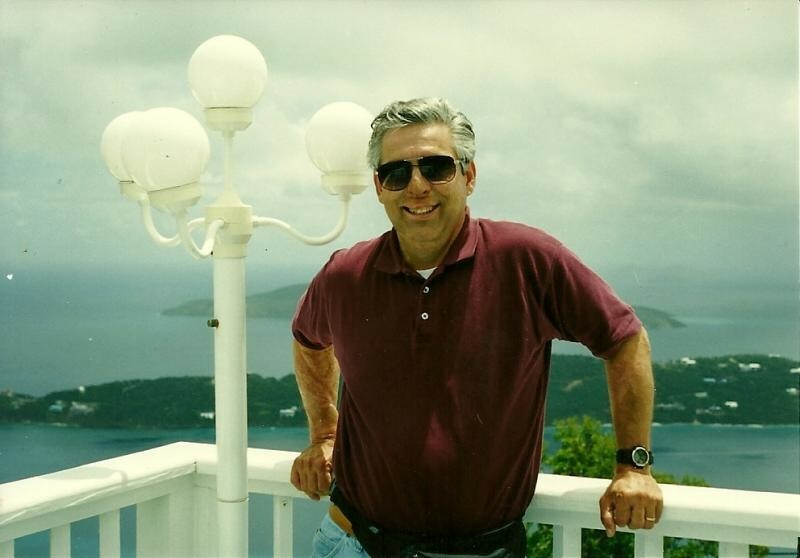 He has been a contributing author and columnist to “Avista” magazine. 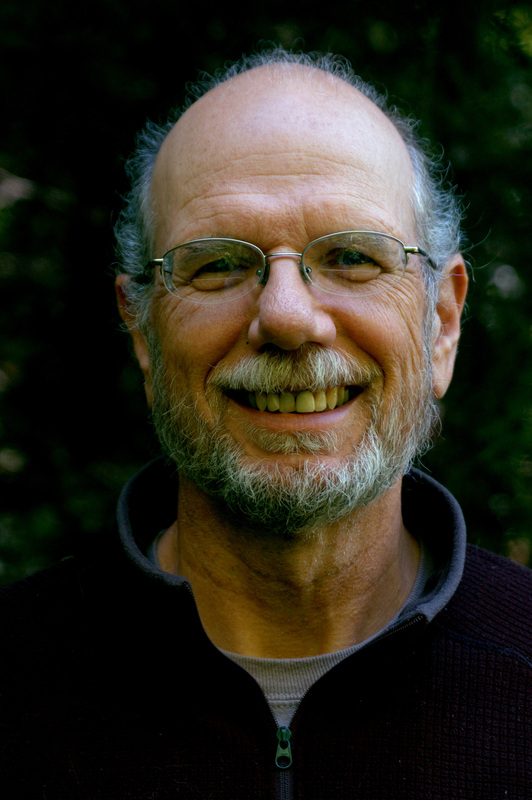 He currently writes a safety column for the “PSWA Newsletter.” He is also a 10-time award-winning writer for short stories, flash fiction, and poetry. BEYOND RECOGNITION, Ron’s award winning book (Public Safety Writer’s Assn- 1st Place, 2013) was written as a means of closure and dealing with survivor’s guilt, a form of PTSD. It’s his memoir of a tragic helicopter crash he had as an LAPD pilot; one which killed his student pilot trainee, and put Ron in a burn ward for 70% burns. It’s a story of how he overcame his physical, mental, and emotional pain, and provides a recommendation for others who suffer from tragedy. In the 1970s, my first novel was published by Wm. Morrow & Co., then a major New York publisher and now an imprint of a larger house. For a beginning writer, it was a coup, and I thought it promised a golden road to the New York Times bestseller list. Instead, I’ve followed a rocky, bumpy road, and I’ve landed, if on the radar at all, on the lower rungs of the midlist ladder. I have been agented and non-agented, published by large New York publishers, small independent presses, university presses, and publishers who specialized in books for school libraries. Today I am non-agented, and I publish my own books. No, I’m not getting rich by any means, but I wouldn’t have it any other way. In the 1970s and beyond, self-publishing was a dirty term. It meant you couldn’t get a legitimate publisher to look at your work. The implication was your writing was not good, not salable, not publishable. If you self-published, you paid companies, known derogatorily as vanity presses, great sums of money to publish your work. They produced a quantity of your books and stored them in their warehouse. Publicity and marketing were up to you. After a certain period, the publisher would need the warehouse space, and they would—yes, it’s true—offer to sell you the books you’d already paid to publish. Then came the revolutionary developments of digital or electronic books and print-on-demand. Both changed publishing forever, by reducing publishing costs and making books more accessible. About the time we were getting used to this sea-change in publishing, I decided to try my hand at mysteries. I was a lifelong fan but never thought I could write one. I went from being a western writer to a mystery wannabe. I joined Sisters in Crime and began a whole new educational experience. One thing I learned, to my dismay, was that it wasn’t as easy to contract with an agent as it had been in my early experience. Some people submitted 200 or more queries; lots of work never found a publisher. Long story short, after several harsh lessons that cost me a few wasted years, my first mystery, Skeleton in a Dead Space (A Kelly O’Connell Mystery), was published by a small press that specialized in romance. I was their mystery experiment, and I stayed with them through seven novels before they went out of business a few years ago. It’s no secret that I am in my golden years. When that press went out of business, I didn’t want to spend time on endless agent and publisher searches. I wanted to write. If one of the major mystery houses had come begging, I don’t think I’d have been interested, because I didn’t want the pressure to produce two or three books a year or to maintain my sales. I am fortunate not to need the income, so the slower pace and lower returns of self-publishing are all right with me. I would not have gone indie (we prefer that term to self-publishing) without a following, but with five books under my belt and a growing audience for my blog, I knew I had readers out there. Not an astounding number, but enough to make me feel good about continuing to write. So now, in my late seventies, if not for money, why do I do it? 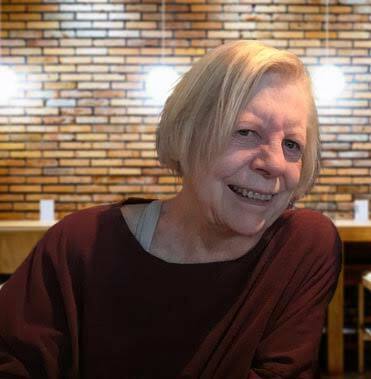 Because it keeps me and my brain young and active; because I enjoy both the writing and the involvement with the mystery community and with readers; and because some people really like my stories. A reader once swore to me she saw Kelly O’Connell going into her favorite restaurant. That’s how powerful a reader’s imagination can be if you feed it. I like that a lot. Now arriving on platform three, the California Zephyr—historical mystery series, that is. All aboard for adventure! Also mystery, murder and a touch of the supernatural. The Ghost in Roomette Four, the third book in the series, features strange shimmering lights, an unearthly chill and tapping sounds that may mean someone—or something—is trying to communicate with my protagonist, Jill McLeod. Jill is a Zephyrette, a train hostess, the only female member of the onboard crew for the streamliner known as the California Zephyr. The train was often called the CZ or the Silver Lady, because of its silvery stainless steel cars. It ran from 1949 until 1970, jointly operated by three railroad companies—the Chicago, Burlington & Quincy, the Denver & Rio Grande Western, and the Western Pacific. The first book in the California Zephyr series is called Death Rides the Zephyr. It takes place in December 1952, while the second, Death Deals a Hand, happens a few months later, in April 1953. By the time The Ghost in Roomette Four leaves the station, summer has rolled around and it’s July 1953. The series features a specific historic train linked with a female protagonist who is a train crew member rather than a passenger—at time when working for the railroad was primarily a man’s job and a man’s world. That’s what first attracted me. 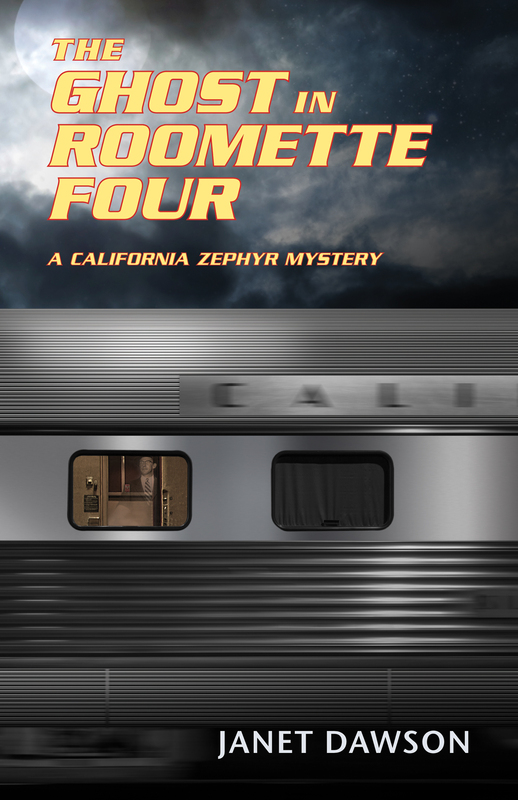 When I found out about Zephyrettes, I knew I had to write a book with a Zephyrette sleuthing on the train and solving crimes. I am having fun with the early 1950s setting, researching fashions, hair styles, figuring out what movies were showing at the local picture palace, the music my characters enjoyed, and what books and magazines they would read. I’m also looking at the cars my characters would drive and what was in the newspapers of the time, whether news of international and national importance, or something local. It’s a time when memories of the Korean War, World War II and the Great Depression are still fresh in people’s memories. It’s the era of postwar prosperity in the United States, yet a time when casual racism directed at the mostly African American porters was common. In the 1950s, women married young and it was unusual for young women like Jill to have careers. In fact, in the third book, Jill is feeling the subtle pressure to get married—and she finds she doesn’t like it. She enjoys riding the rails and she’s not yet ready to settle down. 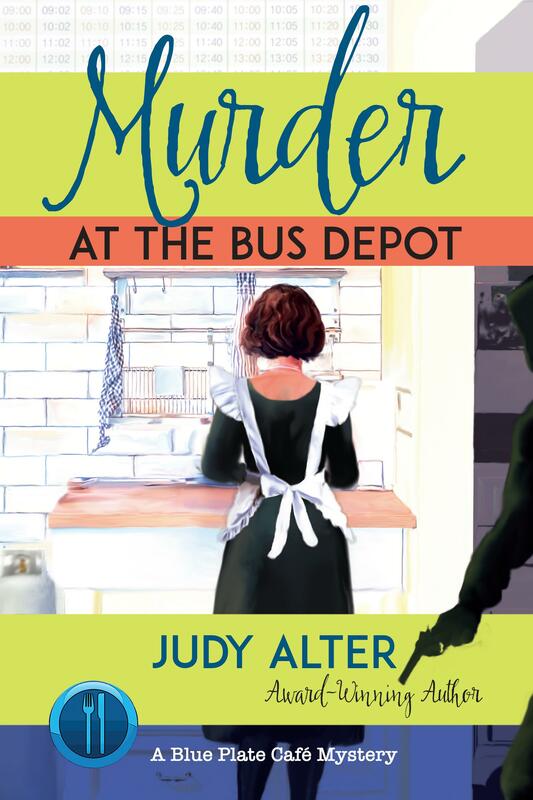 For the mystery reader who enjoys transportation linked with murder, there are lots of train books out there. Certainly we think of Agatha Christie, Jill’s favorite mystery writer. Murder on the Orient Express and The Mystery of the Blue Train both feature Hercule Poirot. And 4:50 from Paddington involves Miss Marple in a murder aboard a train. There’s also Patricia Highsmith’s Strangers on a Train, the movie version released in 1951. Here’s a link to a blog post about mysteries set on trains, though it’s several years out of date. Here’s hoping you’ll buy a ticket on the California Zephyr, my fictional version, and enjoy the adventures of my sleuthing Zephyrette. Marilyn Monroe singing Diamonds are a Girl’s Best Friend, from Gentlemen Prefer Blondes, which opened in July 195. Jill and her boyfriend are planning to see this movie. Percy Faith Orchestra playing Where is Your Heart, the popular song from the 1952 move Moulin Rouge. This is the song playing at the restaurant where Jill has lunch with her friend Tidsy. This is part of the website called the Virtual California Zephyr Museum, which has lots of photos and advertising brochures.